SAN FRANCISCO (KGO) -- The FBI is searching for a suspect named the "Droopy Face Bandit" who got the name because of his droopy cheeks. Investigators said they believe he is responsible for as many as 10 bank robberies in San Francisco dating back to 2007. The most recent robberies occurred last month. 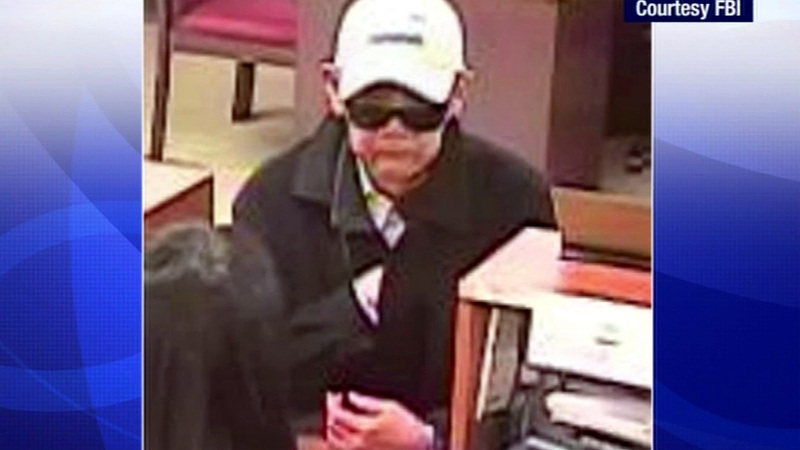 Officials said he appears to be targeting banks in predominantly Asian neighborhoods throughout San Francisco, including Chinatown and the Clement Street area. Officials said in each case he has used a note to demand money from the tellers and has led them to believe that he's armed with a weapon. A reward of up to $5,000 is available for information leading to the arrest of this suspect. The FBI is asking anyone with information about his identity or whereabouts to come forward and contact the San Francisco FBI Office at (415) 553-7400.